You may recall my article on U-boat Museums and exhibits. 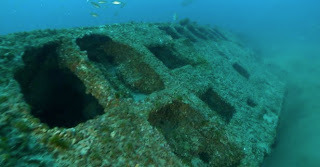 Most of the U-boats from WWII were used for scrap metal. Some found themselves in the many Uboat museums around the world, and others found their home at the bottom of the ocean. The U701 was sunk by aerial depth charges dropped from an A-29 Bomber on July 7, 1942. 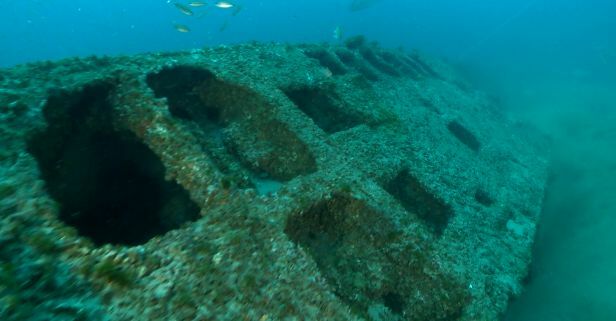 The remains of the vessel are located almost 30 miles offshore, in 120 feet of water near Diamond Shoals in the Outer Banks of North Carolina. 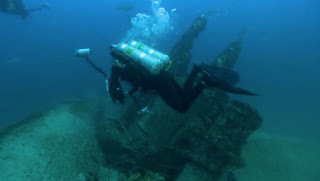 This dive video was created by the UNC Coastal Institute formed in 2003, which offers educational opportunities, provides community outreach programs, and enhances communication among those concerned with the unique history, culture and environment of the maritime counties of North Carolina. U-701 from UNC-CSI on Vimeo. According to the UNC-CSI , the U-701 sites is well known for challenging conditions and potentially strong currents, often making it a difficult dive. It was well worth it in my opinion, as this video provides us a glimpse into the unique history of submarine warfare.